Our phones ring any time, day or night! When you call, you’ll talk to a person, 2AM on a Sunday or lunchtime on a Tuesday. Since it’s beginnings in 1994, S&K Plumbing Company has been centered on the goal of providing unparalleled service and quality craftsmanship to every customer for every plumbing need. We are a family owned and operated business based out of Buffalo Grove, IL. With over 50 years of combined experience, our licensed plumbers have the knowledge to find a solution to whatever plumbing related problems you may encounter, and sometimes even non-plumbing related issues. 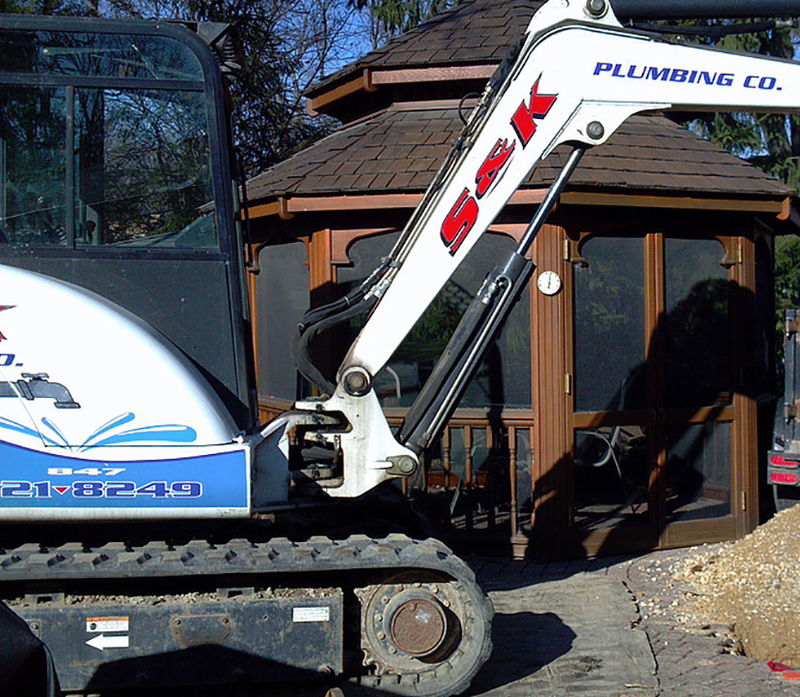 S&K Plumbing offers services from minor jobs such as faucet and toilet repair through more entailed work like remodeling and sewer rodding/cleaning up to the most demanding of projects in underground sewer and water applications. We supply the highest quality lines from brands such as American Standard, Bradford-White, Grohe, Insinkerator, Kohler, Moen, Toto and Wolverine Brass to name a few. We offer free estimates on most work, so don’t hesitate to call for pricing on any projects you may have, inside or outside your home. Even if you’re not sure we handle the problem or project you have, give us a call!